Peat used to be a major source of freight for Fenns Bank Station when it was open. 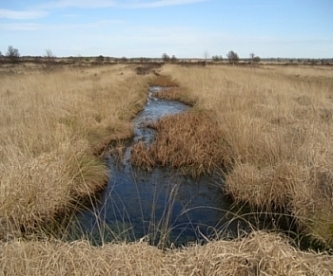 In the modern era, there is a massive demand for peat for potting plants.The threat to nature reserves has led to many brands of potting compost being described as 'peat free'in order to appeal to environmentalists. 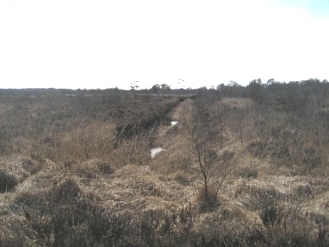 Large scale mechanical cutting of peat was stopped in 1990 at Whixall Moss, but some hand cutting continues. 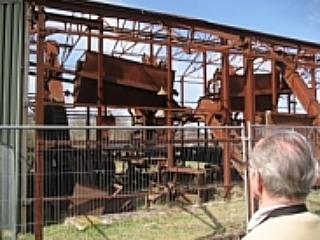 Turves are often cut by hand and stacked for drying.The old peat processing works is shown left. Today the area is preserved by English Nature and tours are available.